I joined Allure Beauty Enthusiasts after receiving an invitation via email. Although I do not subscribe to Allure Magazine, I have subscribed to the Allure Sample Society box. Generally, I trust Allure and respect most of its reviews. As a Beauty Enthusiast, I get first access to deals, promotions, the chance to test new products for free, and more. I received a survey to participate in a trial. Apparently, my results coincided with the test subjects they were in search of. My skin is combination dry with slightly oily skin in what I call my upside down T zone. My forehead does not get oily, but my chin does. The survey was short, so I do not worry about taking a lot of long surveys only to find out I do not qualify. There is no charge for this program, so I decide how much time I want to spend on programs, which is very little. 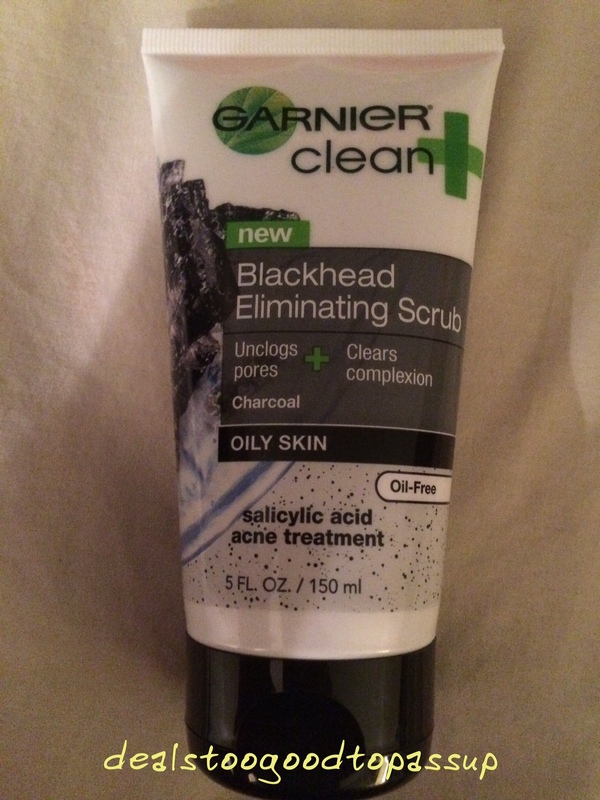 The product to be tested was Garner Clean + Blackhead Eliminating Scrub. Of course, it was sent free of charge as all testing products are. 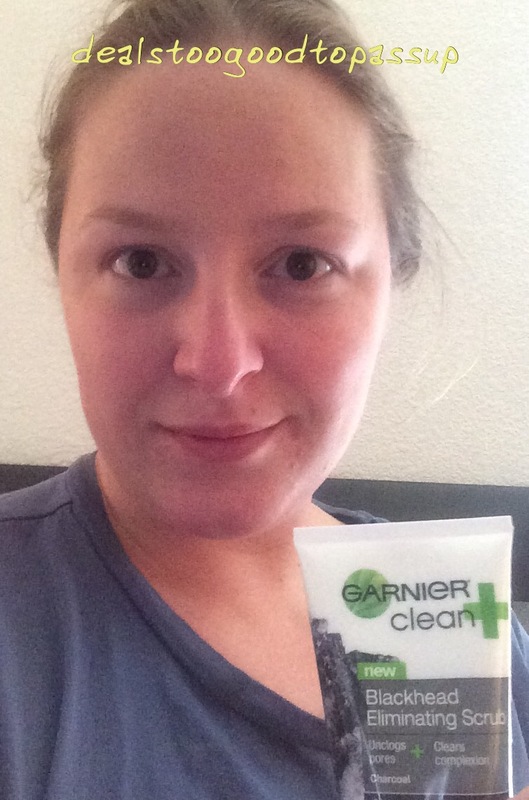 It is designed for oily skin, so I wondered how it would feel on my dry patches of skin. Instructions wanted us to use this daily for a week and report back on our findings. When it comes to scrubs, I generally do not use them more than once or twice a week. A daily scrub would certainly be something my skin was not used to. Of course, I wanted to comply with the request, so I used it every day for a week as it asked. I even braved using it on my dry patches of skin to see what the results would be. My skin was extremely broken out when I started using this from all the stress I was enduring at the time. While I do not have any before pictures, you can see in the after picture that some evidence of the breakout remained. This picture was taken after using the product every day for a little over two weeks. Despite my very bad habit of picking acne, the product had mostly cleared my skin. It did not irritate my dry patches of skin, and I found it gentle enough for every day use, although now that the trial is over I use it less often. The picture is makeup free with no filters, so other than the shabby reverse camera, it is a pretty accurate depiction of what my skin looked like. The verdict is I like the scrub and will continue using it. I will increase usage around breakouts, because the salicylic acid in the product helps my skin. If you are not an Allure Beauty Enthusiast but would like to be, read more about it. Ready to sign up? See all Allure Beauty Enthusiasts articles. View my main page for the guide map to the site and deeper deal exploration.